I have been blogging since 2008 and what started out as a family journal of our road through adoption has turned into a full time business. I cannot even begin to tell you how much I love what I do and the idea that I can make money blogging, but it is indeed work. I am over the moon excited about the opportunities this last year brought me with everything from representing Behr Paint and ForRent.com to exploring TGI Fridays corporate headquarters as a brand ambassador. My goal is to be faithful to who I am and what I represent through the companies I work with and the message of my blog. Do I know how to juggle parenting, homeschooling and family perfectly? Not even close, but I am learning that there are resources out there to assist me. One of these is the Elite Blog Academy. I am part of the inaugural class taking Ruth Soukup’s course aimed to help bloggers take their business to the next level. Now let me be honest and say that I’m far from done with the course. With November and December being my busiest months as a home blogger I’ve struggled to make time to work through the material. I believe the information itself is brilliant and so enlightening but it won’t work unless I put the time in. However, I will say that by just implementing a few of Ruth’s tips my pageviews are the highest I’ve ever had and I know they will keep growing as I continue to learn more of the strategies. Who exactly is Ruth Soukup? She’s the expert behind this course and blogs at LivingWellSpendingLess.com. With a blog name like that you know she and I already have something in common! Ruth Soukup knows all too well how overwhelming it can feel to juggle the day-to-day demands of writing a blog with the big-picture strategy of creating a profitable business. Her own blog, Living Well Spending Less, has grown to become one of the most popular personal finance websites on the net, receiving more than one million monthly unique visitors. 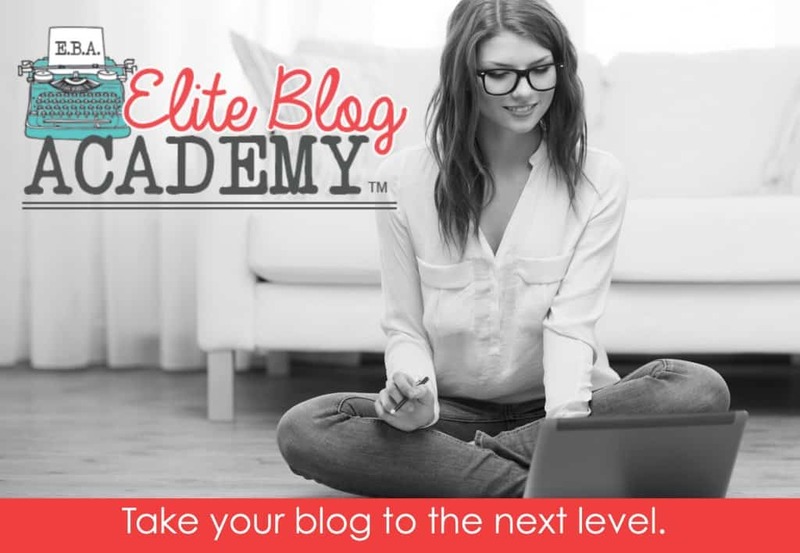 If I’m going to invest money in my blog and in myself, I believe the Elite Blog Academy is the best fit for me. Ruth’s course is teaching me how to work smarter not harder. Anyone else need help in this area? Overcome the destructive cycle of comparison by embracing what makes YOUR platform unique and therefore marketable. Master the four essential strategies to creating blog content that gets noticed and shared. Discover the secret to harnessing the most powerful free marketing tool in the world. Stop spinning your wheels and instead develop new affiliate sales techniques that actually work. Eliminate time wasters and instead uncover three simple but critically important strategies for working more efficiently. Elite Blog Academy is designed to be self-paced, but should not be completed in less than 12 weeks. Blogging is not for the faint of heart, and this course requires a willingness to buckle down and get to work. That said, for those who are willing to do the work, it also comes with a 100% money-back guarantee. Anyone who completes the course and has not seen measurable results in both traffic and income growth will get double your money back, no questions asked. The Elite Blog Academy course will be opened for a limited Black Friday special enrollment, from November 28th-December 5th. For one week only, enrollees will be able to get the course for $299. This is the last time the course will ever be offered at this price; when enrollment opens again in the spring the course tuition will be $399. 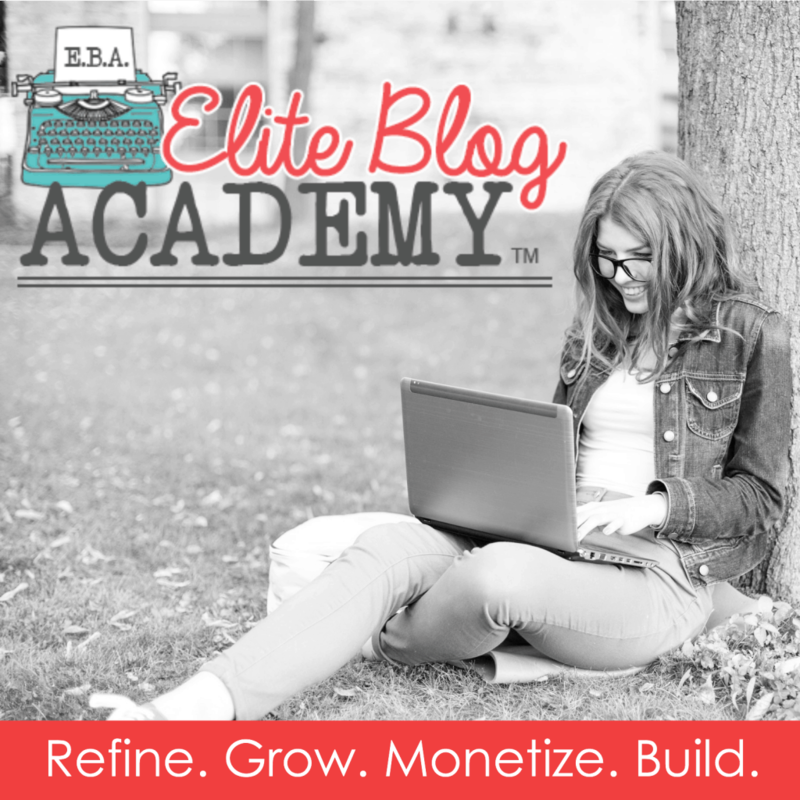 Even at the full price of $399, Elite Blog Academy is still worth every penny and more! If you don’t have the time to take the course now, you can still buy it at the lower price and complete the course when you have the time. I’m open to questions so let me know what you’re thinking, but do it fast! This post includes an affiliate link which means if you decide to be a part of the Elite Blog Academy, you will be helping to support my blog at no extra cost to you! Thank you so much for putting this together, Marty. You have answered so many questions I had about this course. Now I am even MORE excited to try it! This an exciting opportunity, unfortunately I suffered a major stroke Oct. 2013 and it left me with extremely limited use of my dominate left side, so I have had no income since then. I would love to take this course. I have mastered typing with just my right hand. Prior to my stroke, I earned my master gardeners certificate. I love designing and creating hand made greeting cards. In my photo albums on my Face Book there are pictures of my work. please take a look. I belong to several craft groups and answer craft questions to guide/help whom ever I can. Your blog is wonderful! Hi, Sarah. Were you able to order the Elite Blogging course? I’m loving mine! If you did, let me know so I can make sure it was counted as an affiliate link for me. Have a great day!